If media adapter MEAD-MS01/MEAD-SD01 is inadvertently inserted in the slot backward, the adapter may become stuck and cannot be removed easily. If the adapter is forced out, the card slot may become damaged. 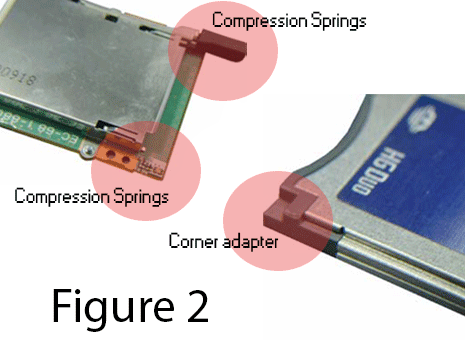 This occurs if the tip of one of the compression springs in the card slot catches on the corner of the adapter and becomes bent. Removal Procedure do at your own risk if not comfortable doing it yourself we can fix it for you. If the media adapter is inserted backward, do not force the adapter out; remove carefully as follows. 1. 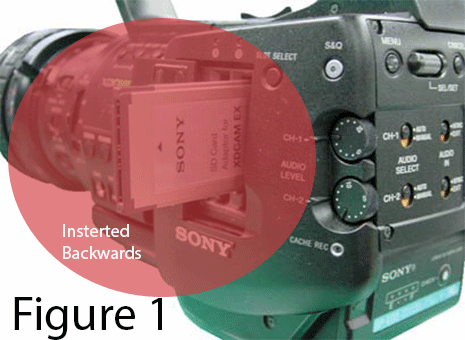 If the adapter is hooked and cannot be pulled out, push the adapter back in the slot just enough to create play as shown in Figure 1. Note:Do not insert the adapter deeply or more than necessary to secure play in the adapter. 3. 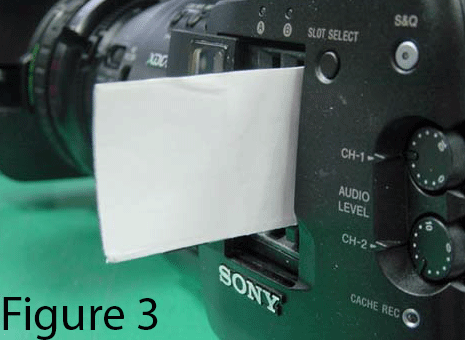 Insert the sheet in the slot from the label side of the adapter as shown in Figure 3. Note:If the sheet is too thick to be inserted easily, use a thinner sheet. Two pieces of copy paper (or equivalent thickness) are recommended.